Jennifer started swimming lessons in the beginners class in 2015. After moving to the improver class in 2016 Jennifer has improved on her technique and distance swimming. 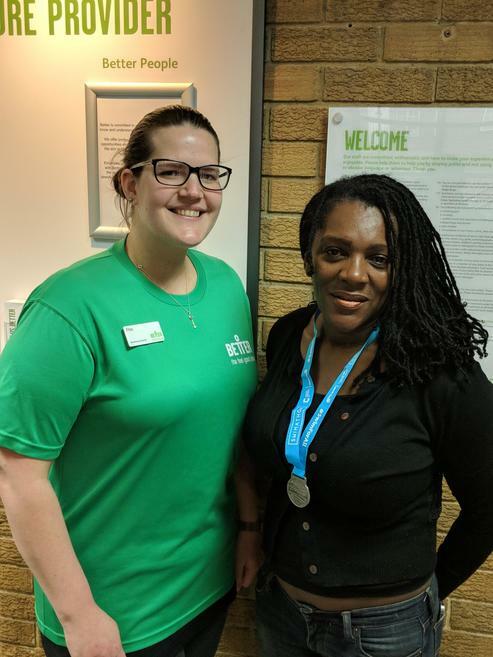 Her confidence has soared over the last year, which encouraged her to enter the brand new 400m distance for the Swimathon. Jennifer swam a personal best of just over 18 minutes to complete the Swimathon, completing the whole distance doing front crawl. Fliss was there to support her swimmer and keep her going through the whole 400m. Jennifer now has the 1.5km in her sights for next year.